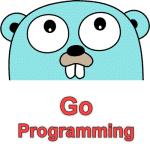 Atan() function is used to find the inverse of a tan in Go language. The inverse of a tan is also known as arctan. Atan() function is a part of math library of Go programming language. x Any Valid GoLang number ( positive or negative ). This parameter is required. Note: if the x parameter is not a number, Atan() function will return an error. Atan() function returns a floating point number ( a value of the inverse of tan in radians ).